Regain a youthful, luminescent glow with this luxurious, medically advanced dual-mask facial – the perfect remedy for anyone experiencing dry skin, loss of elasticity, dullness, and/or hormonal breakouts. Avocado oils and shea butter provide immediate hydration to restore suppleness, texture, and tone, while AHA, fruit enzymes, soybean and clove promote cellular renewal to increase elasticity and diminish the appearance of fine lines. Your skin will look and feel dramatically softer, smoother, firmer and more radiant. Known in Hollywood as the ‘Red Carpet Facial’, this is the one the celebs go for to make sure their skin is glowing and healthy looking before a big night at the Oscars or Emmys. From severe acne to hormonal breakouts, the Clarifying Enzyme Acne Facial delivers great results. Dr. Murad’s professional strength acne treatment is scientifically formulated to improve skin clarity and reduce acne blemishes while soothing redness and inflammation. This facial combines exfoliating natural fruit enzymes, antioxidants, and hydrating agents to open clogged pores for deep cleansing and extraction without irritation. A luxury pick-me-up for dry, dehydrated, devitalised or post-holiday skin. A very relaxing and therapeutic facial which will restore life and balance to your skin. Incorporating advanced ingredients from a variety of Dr Murad products, the Hydrating Facial is a great introduction to this dermatologist developed skin range. For best results we recommend a course of six. The perfect pick-me-up for skin of all ages. This facial uses the wonderful Vitalic range of products from Murad, which harness the powerful anti-oxidant effects of the Pomegranate fruit to energise and renew your complexion. 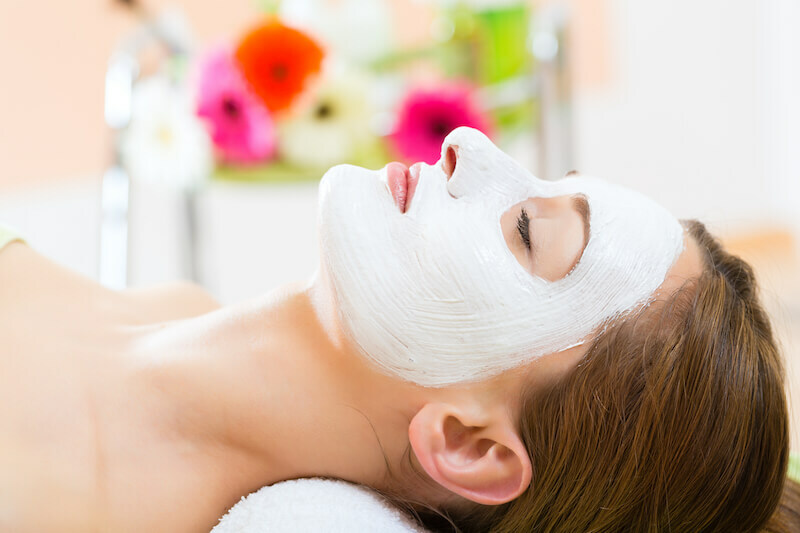 This facial includes a gentle peel which will help to brighten and resurface your skin. 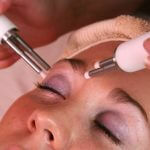 This facial is suitable for all skin types and is a very good facial for younger clients. For prolonged results and for a home treat we recommend taking home a pack of six Murad Pomegranate Exfoliating Masks: only £22 for 6 masks. Dr. Murad, a pioneer in the use of AHA’s in professional treatments, provides a sublime solution for reducing fine lines and wrinkles in all skin types. Concentrated glycolic acid exfoliates away dead skin cells while a unique blend of antioxidants, anti-inflammatories, and hydrators soothe and revitalize to reveal a softer, smoother complexion. Cell turnover will be accelerated unveiling an ever-greater improvement in skin’s texture, tone and youthfulness. 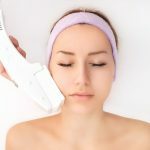 Unlike most skin peels, this gentle formulation peel does not require your skin to be prepped for two weeks in advance. If you are already using Murad products this peel is a great treatment to enhance the penetration of your topical homecare products. Soothe and neutralize Rosacea-like redness and sensitive skin with this breakthrough treatment. This facial allows sensitive skin to benefit from the application of two deeply calming facial masks. Dr. Murad’s advanced formulas feature unparalleled antioxidant and anti-inflammatory benefits to cool skin on contact, instantly alleviate redness, and restore hydration, leaving your skin looking and feeling calm.